31 F. high in the Twin Cities yesterday. 25 F. average high on January 28. That’s up one degree; average temperatures finally creeping upward. 0 F. high on January 28, 2014 after waking to -16 F.
Trace of snow on the ground in the Twin Cities. January 28, 1977: Due to the extreme cold, the St. Paul Winter Carnival was held indoors for the first time. A year ago meteorologists were hyping the Polar Vortex; jet stream winds buckling and stalling, allowing arctic air to overstay its welcome. This year: more of a Pacific influence, fewer subzero flings, January temperatures about 3F milder than average. David Young wrote me a note, describing a harrowing plunge into Lake of The Isles Sunday. 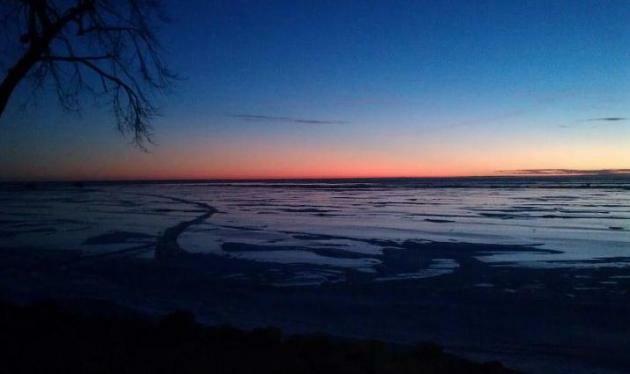 Unstable ice in late January? Always an issue for spring-fed lakes and river currents, but falling through the ice in January, in Minnesota, requires a fair amount of effort. Jason Torgerson sent a photo of caterpillars in Shoreview. Chirping robins, canceled pond hockey games, where does it end? I’m here to (gently) remind you that Canada won’t run out of cold air anytime soon. I’m predicting a minor reality readjustment, with teens early next week, an even colder front the end of next week with a few single digit days – maybe a couple nights below zero. But still not as cold as the first 10 days of January. Call me crazy but I suspect the coldest days are behind us. Or snow for that matter. Blizzard-Free. At least for a few days. The next clipper pushes snow showers across the Great Lakes into New England, a southern system dropping a few inches of snow on the mountains of New Mexico by Saturday morning. 60-hour 4 km NAM snowfall potential courtesy of Aeris Weather. 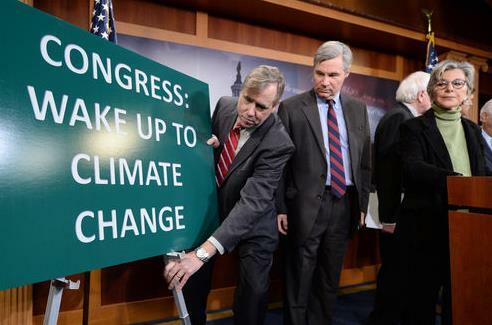 Reality Readjustment. Although not as cold as early January there’s little doubt we’ll see a temperature tumble early next week, an even colder slap the end of next week. A few clippers swept up in a northwest flow may coat the ground, but (amazingly) not significant snow is in sight. Graphic: Weatherspark. Mixed Signals. The latest output from NOAA’s GFS model shows a thaw by the second week of February, followed by more arctic air by mid-month. With a higher sun angle it gets increasingly difficult to experience subzero weather, especially subzero daytime highs. I’m still not convinced it will get as cold as the first 10 days of January. Colder Phase. After a brief thaw around February 10 temperatures tumble again by the middle of next month; the core of the jet stream continuing to whisk the biggest, wettest storms south and east of Minnesota as far ahead as I dare look (about 2-3 weeks). 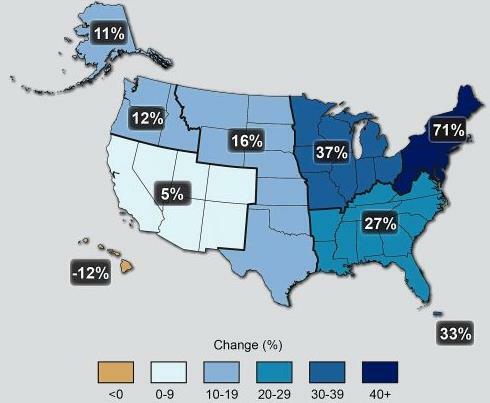 Source: GrADS:COLA/IGES. 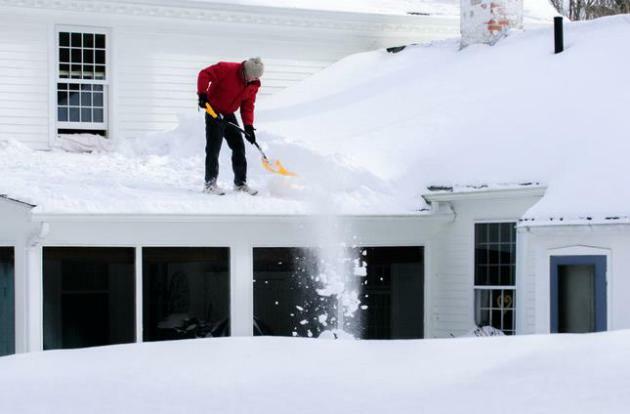 Photo credit above: “Bruce Raymond shovels snow from the roof of his Chaplin, Conn. home on Jan. 28, 2015, after yesterday’s storm that brought more than 20-inches to parts of the state. 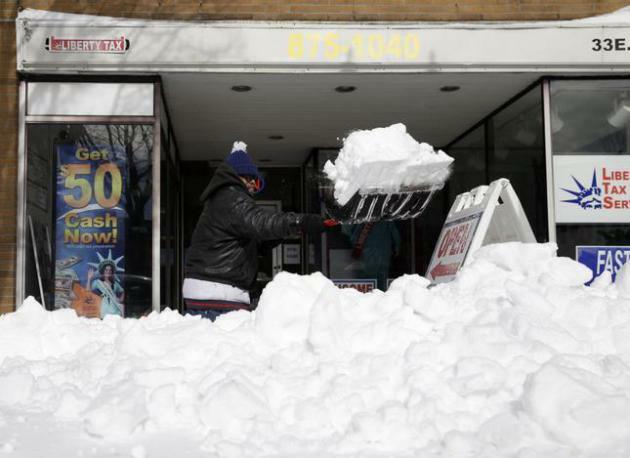 More snow and freezing temperatures are forecast for most of next week.” (Mark Mirko/Hartford Courant/TNS). 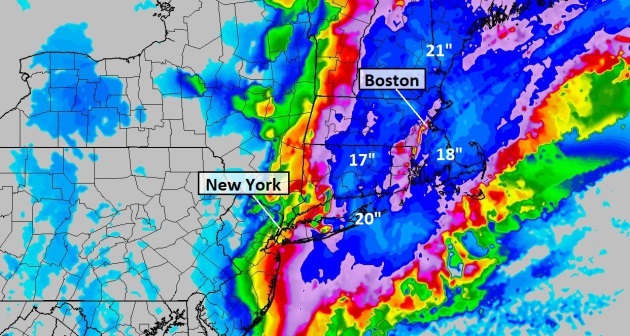 Why The Forecasters Got It So Wrong For New York City. Bloomberg takes a look at dueling models, and how all the models (sucked) for New York City’s snowfall totals; here’s an excerpt: “…Everyone went with the Euro and it was wrong,” Carolan said. 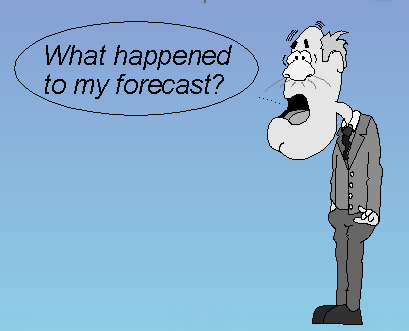 “This winter the Euro hasn’t been the model it has been in the last two winters.” While the GFS, which was upgraded earlier this month, did a better job forecasting how the storm played out, another U.S. model also erred on large snowfall amounts, Uccellini said. 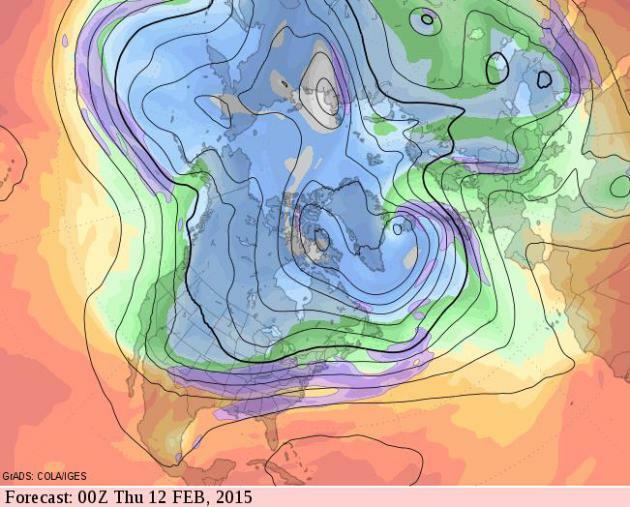 “Our own NAM model was right there with the European Centre,” he said…” (Image: Aeris Weather). There Once Was A Storm on Nantucket. 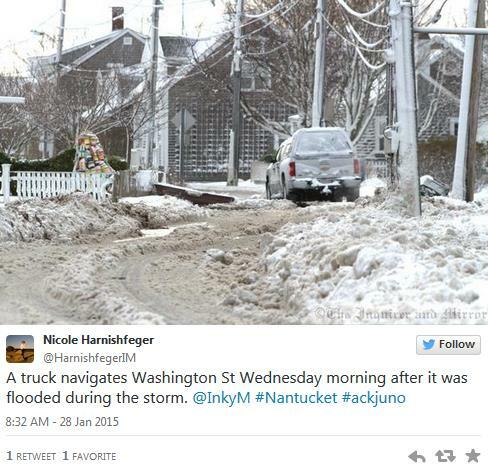 Boston.com has an amazing collection of photos and tweets from Monday night’s storm, which hit the island of Nantucket, Mass. with the fury of a category 1 hurricane. 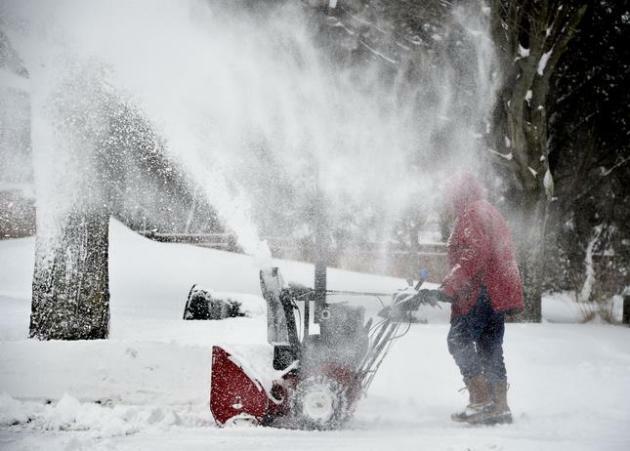 Photo credit above: “Snow swirls into the air as Ted Diamond operates a snow blower to clear out his driveway on Greenvale Drive in East Northport on Tuesday, Jan. 27, 2015, in New York. Long Island was one of several areas throughout the state to be hit by a blizzard overnight into this morning.” (AP Photo/Kathy Kmonicek). 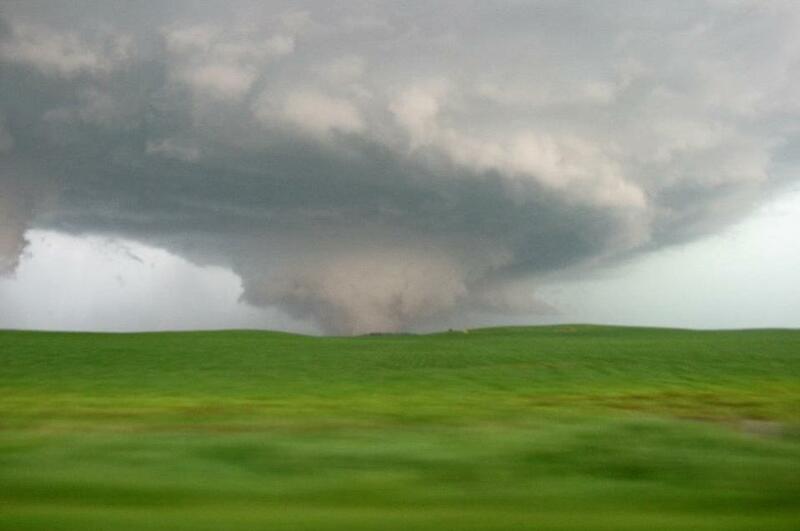 Photo credit: Bill Koch, North Dakota State Highway Department. Credit: Collection of Fr. Herbert Kroehl, NGDC. 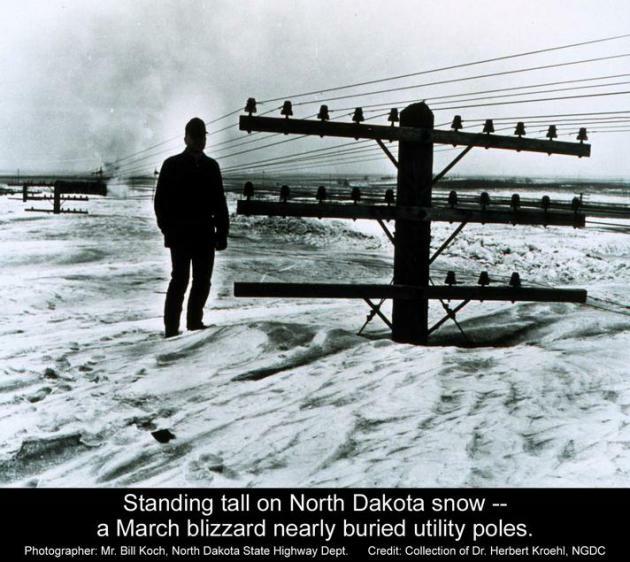 “Snowstorms Then And Now“. McSweeney’s Internet Tendency has a look at how adults have ruined snowstorms. It’s a worthy (and funny) read. So THIS Is What Winter Looks Like. 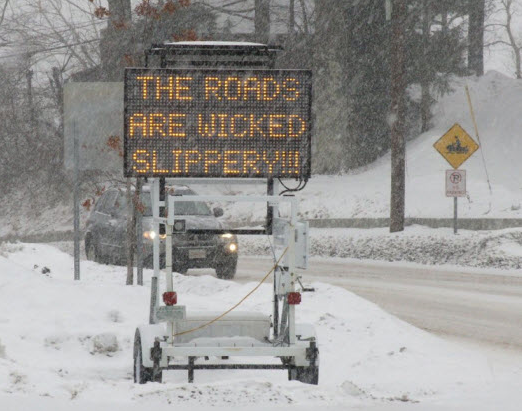 Thanks to Leslie Corris in Newton, Mass. 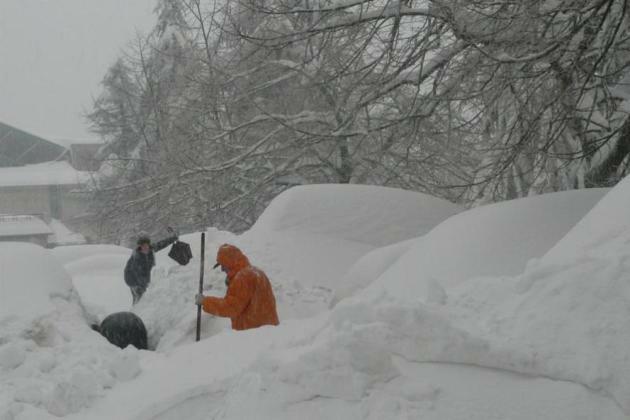 – just west of Boston, for reminding all of us that winter often brings heavy snow. 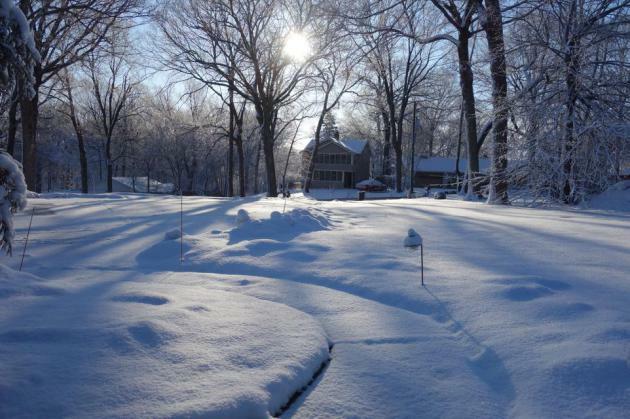 Newton picked up about 20″ of snow, some 30″ amounts in a few Boston suburbs. For the record, Boston received, in one snowfall, as much snow as the Twin Cities has picked up all winter (20.4″ so far). Good grief. More of an observation…I was out for a noon-time walk on Tuesday, Jan 27, near Rice Creek Parkway in Shoreview, when I spotted this little fellow walking alongside me. Air temp was about 35 F, and he was definitely moving (albeit very slowly). 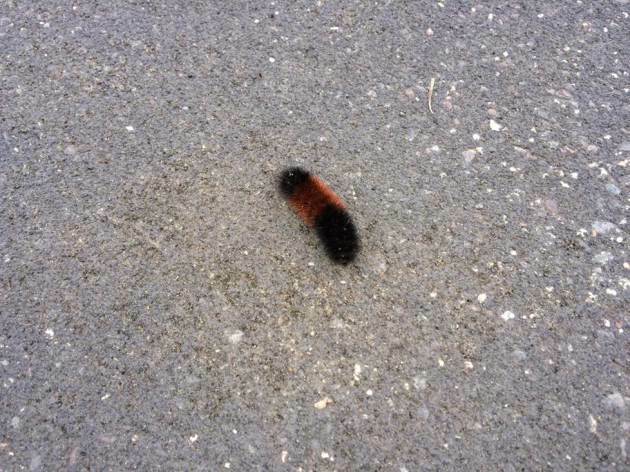 I don’t recall ever seeing a live caterpillar in the middle of winter before. 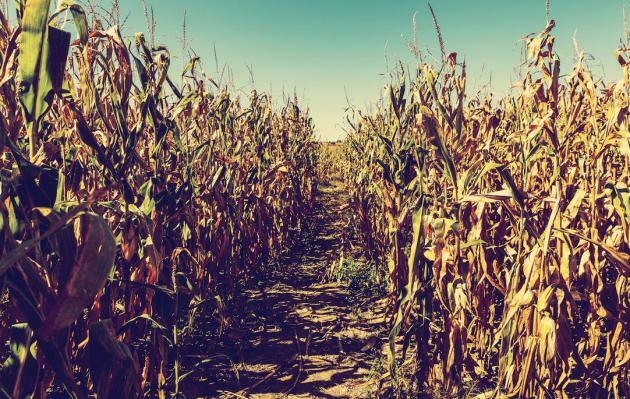 Yes, We Can Live Well And Avoid Climate Disaster, Says UK Government. The Guardian has the story; here’s an excerpt: “…Dealing with greenhouse gas emissions will require a transformation of electricity generation, including an expansion of renewable energy and nuclear power, as well as more public transport and changes to the built environment, according to the key findings of the Global Calculator, an online software tool developed by the Department of Energy and Climate Change (Decc), with partners. 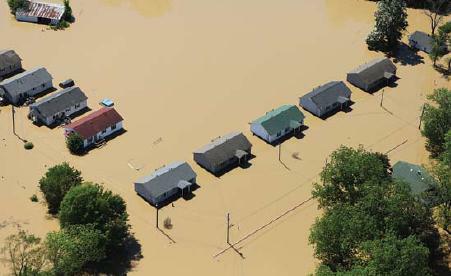 The calculator is intended to show the likely outcomes of a variety of choices that policymakers and the public can make to tackle global warming, such as investing in nuclear, insulating houses, making electrical appliances more efficient and using electric vehicles…” (Image: FEMA). 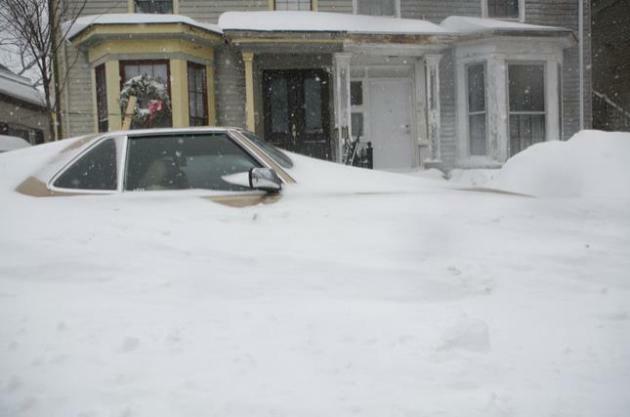 Photo credit: “A snow-entombed car in Cambridge, Mass., Jan 27, 2015. 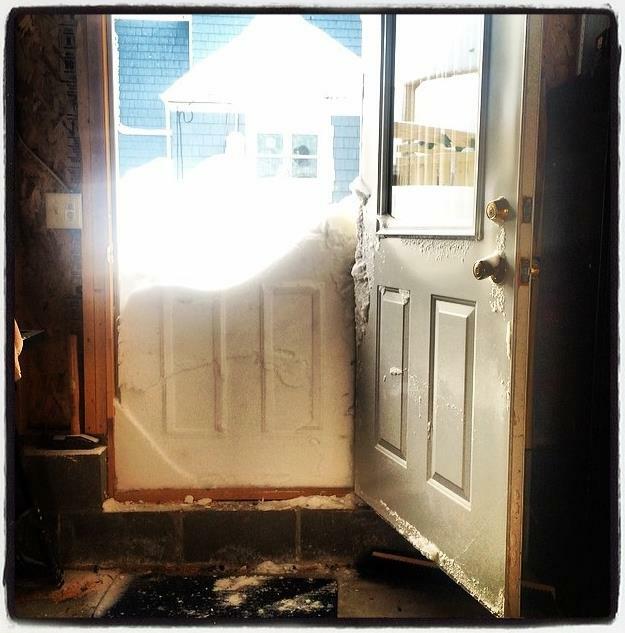 The first major storm of the winter blasted across eastern New England on Tuesday, unleashing whiteout conditions driven by gale-force winds.” (Katherine Taylor/The New York Times).